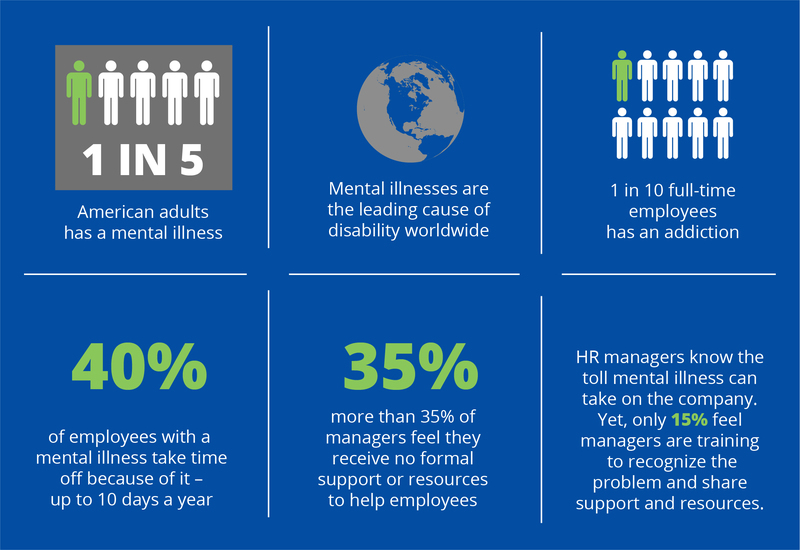 Good health is good business—and that includes mental health. 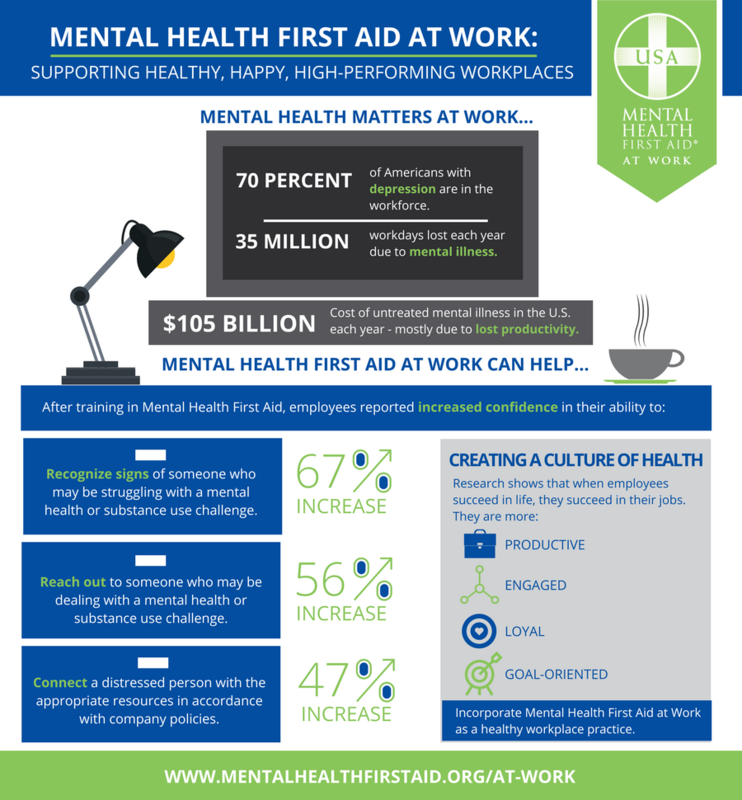 Mental Health First Aid at Work teaches employees critical communication and support skills that impact your company’s bottom line. Where does Mental Health First Aid at Work training fit? How do we design your training? 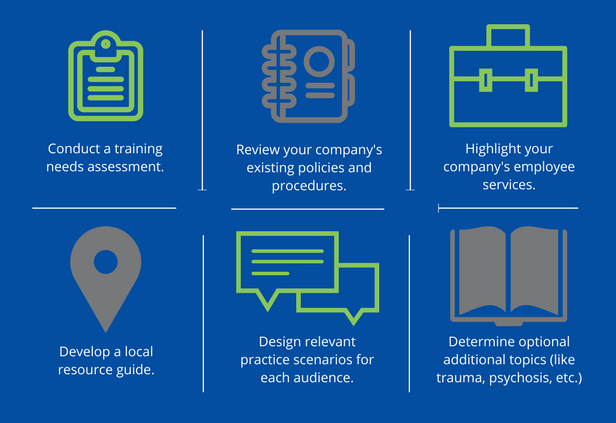 We make sure your training is effective and meeting your company’s stated objectives by completing a pre- and post-course outcomes survey and report for every Mental Health First Aid at Work course. 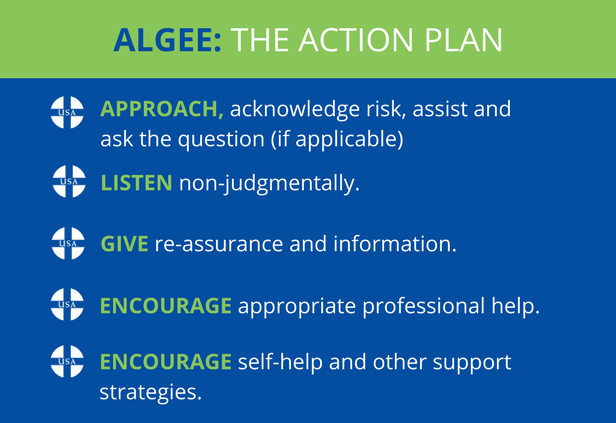 Every Mental Health First Aid at Work training teaches ALGEE, the 5-step action plan to provide support to someone experiencing a mental health or substance use problem.